Chart-topping hard-rock act Avenged Sevenfold will hit the road in North America for the “Shepherd of Fire Tour,” based on the band’s single of the same name, which hit No. 1 on both the Mainstream Rock and Active Rock charts. “Shepherd of Fire,” from A7X’s current album Hail To The King, is the second single to reach No. 1, in addition to the title track. The “Shepherd of Fire Tour,” which kicks off on April 12th in British Columbia, will hit arenas in the United States and Canada. The band will also headline the U.S.’s biggest rock festivals, Carolina Rebellion, Rise Above Fest, and Rock on The Range. 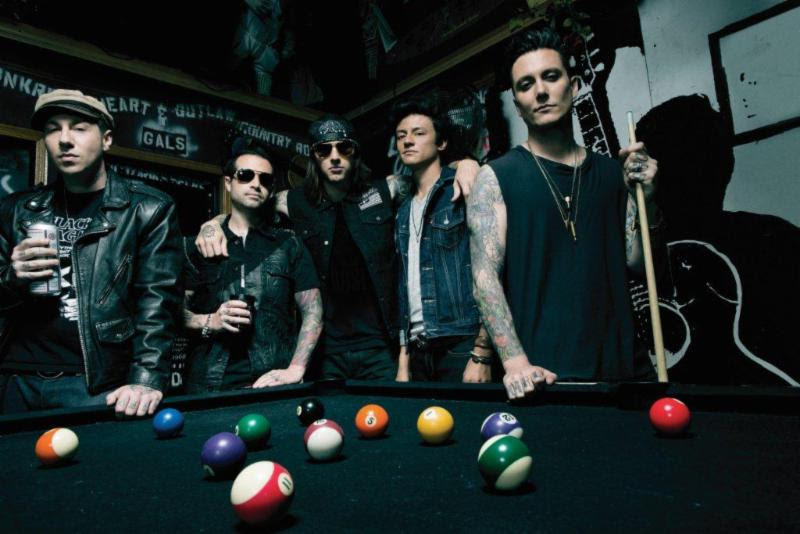 Avenged Sevenfold will be joined by Hellyeah on the Shepherd of Fire Tour as support. Hail To The King topped the Billboard Top 200 Albums chart upon its release in August, making it A7X’s second consecutive No. 1 debut. The album also went to No. 1 in Brazil, Canada, Finland, Ireland, and the U.K. The Huntington Beach, Calif., band has become known for its spectacular live shows, routinely selling out arenas worldwide and headlining some of the most prestigious music festivals. They are scheduled to perform five shows at the Soundwave Festival in Australia starting February 22nd, and will spend the summer headlining Europe’s biggest rock festivals, including Rock Im Park, Rock Am Ring in Germany, the PinkPop Festival in Holland, and the U.K.’s biggest rock festival, Download at Donington Park. After that they will headline the Mountain Stage for two nights at Summersonic in Japan.